‘Martyrs’ Remake Premieres Tonight at Screamfest 2015, Q&A w/ Bailey Noble, Troian Bellisario Follows! 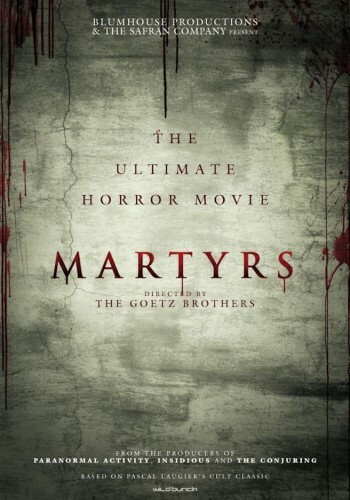 Martyrs is directed by Kevin and Michael Goetz and written by Mark L. Smith (Vacancy). Bailey Noble (”True Blood”) and Troian Bellisario (”Pretty Little Liars”) topline the film as childhood friends looking to take revenge against the people who victimized and abused them. A Q&A with the Goetz Brothers and Bailey Noble and Troian Bellisario will follow the screening. For more information and to purchase tickets, visit the Screamfest website.